Finding visualization inspiration through journalism. Data Journalism has been on the rise over the last several years. There is a good article from USA Today from a few years ago that explores this boom. From info-diagrams to basic charts there has been an increase in the number of stories presenting audiences with data. Part of the explanation has been that the necessary visualization tools are becoming easier to use but also because in our increasingly interconnected world there is even more data to report on. Part of the power of visualizing data is that, if a picture is worth a thousand words, you can say a lot in a single image. From there, a reporter can expand on the data and tell the complete story. This is made all the more interesting because these visualizations put front and center something most people shy away from: math. As an image we find an alternate path to numbers and quantitative information that is much more appealing. 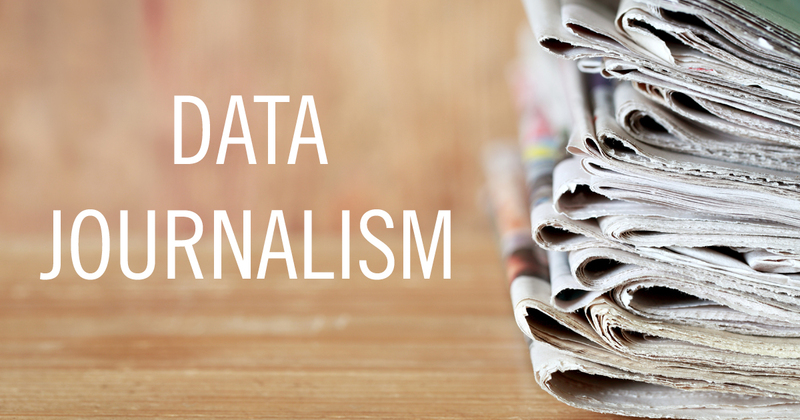 How has #datajournalism changed the way we read articles? Related to how to visualize ideas & data that I’ve written about in the past, data journalism visualizations are mostly designed to summarize an idea, perhaps with some light interactivity, but they aren’t intended for highly detailed analysis. This is the same as the everyday visualizations you are using to present your ideas & findings to other people. Simple visualizations that don’t require much interaction. In a presentation you would speak to the charts and sell your ideas; in data journalism the journalist uses the printed word to fill in the blanks. For inspiration on creating simple, easy to follow visualizations, look to data journalism. The New York Times, FiveThirtyEight, and The Economist among others are great places to start.